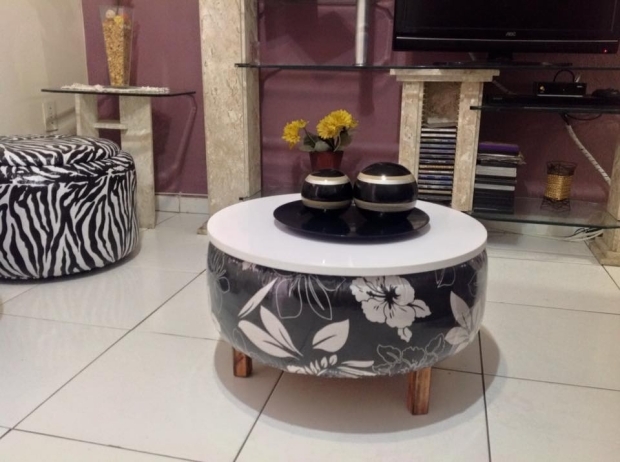 A coffee table is meant to be an integral part of furniture items. 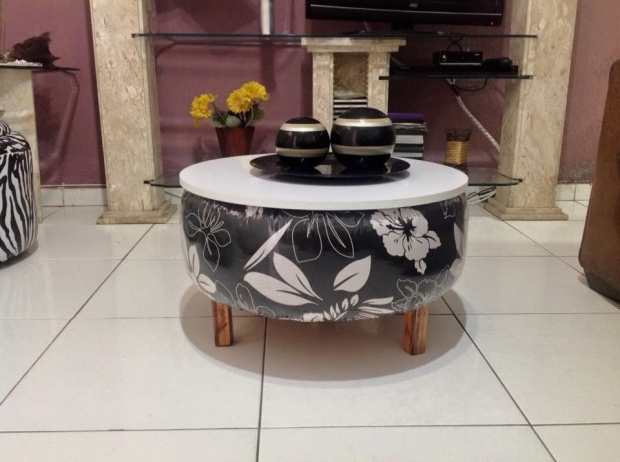 A sitting arrangement or a room interior is pretty incomplete without a proper and well designed coffee table. If you are a regular surfer of our website you certainly would have gone through numerous pallet coffee table plans, but today we are bringing you an insane idea of recycling the coffee table out of used tyres. Does it sound a bit strange? No need to worry about it. Our whole website is based on the idea of recycling or upcycling different dumped or trashed things that we considered to be useless. As we have discussed earlier that the whole idea of our website revolves around the idea of recycling different stuffs that we considered to be of no use anymore. Many of us have vehicles at our home and we get them maintained on regular basis. A tyre is an integral part of every vehicle. And we also get them changed when they have reached the limit of their estimated life. After getting the new ones, older ones are just dumped away and trashed. We have planned to give these tyres a new life by recycling them as a coffee table. How delicate a mere coffee table can be to the max? well, here is the demonstration for that. Look at this decent delicate coffee table recycled with used tyre. 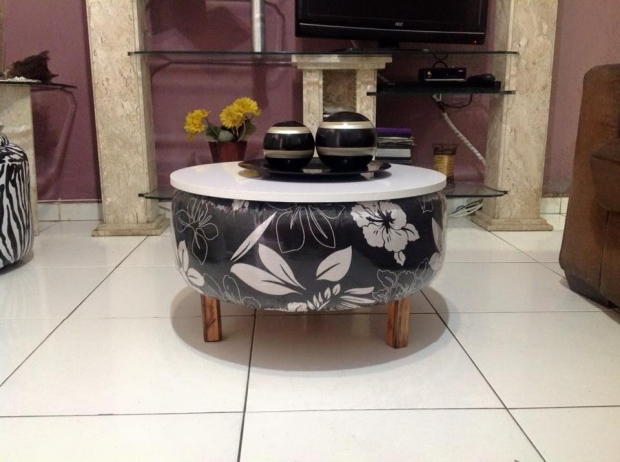 The tyre is wrapped in some printed piece of cloth and then wooden legs are installed on the bottom of the coffee table. 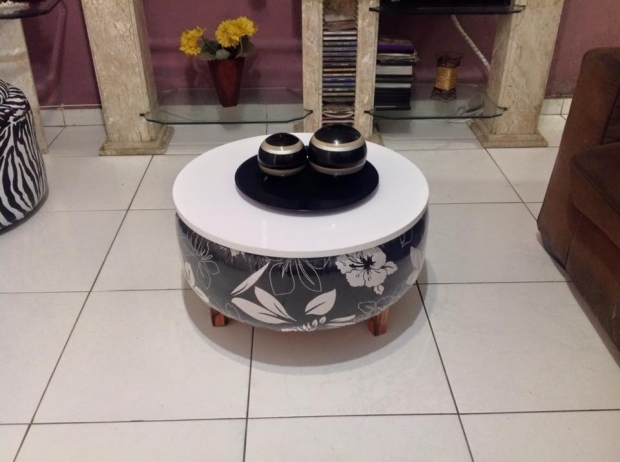 Other than the used tyre, a wooden sheet is installed on the top of the coffee table and a couple of centre pieces are placed on the top of the table. Probably the best use of an old tyre so far.